“Glamour is what I sell, it’s my stock in trade”. 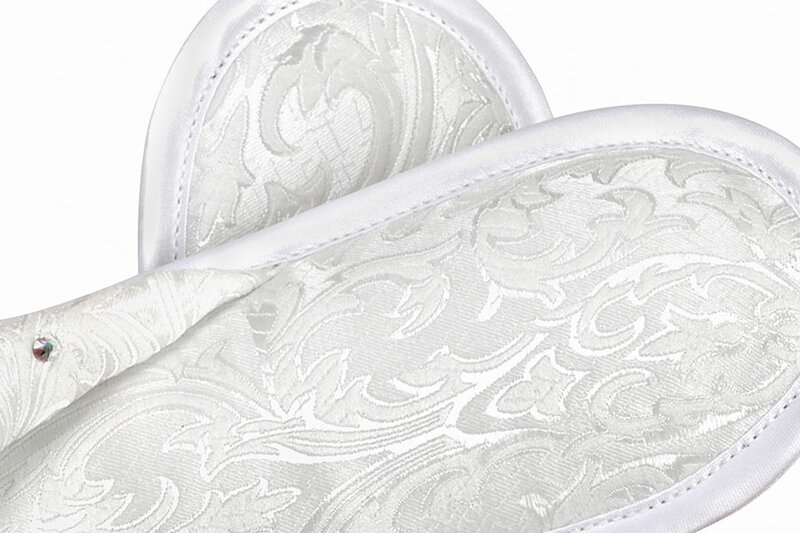 If you have been wearing heels all day – and there weren’t Deeasjer’s super-comfortable wedding shoes – you will want to slip into these luxurious boudoir slippers. 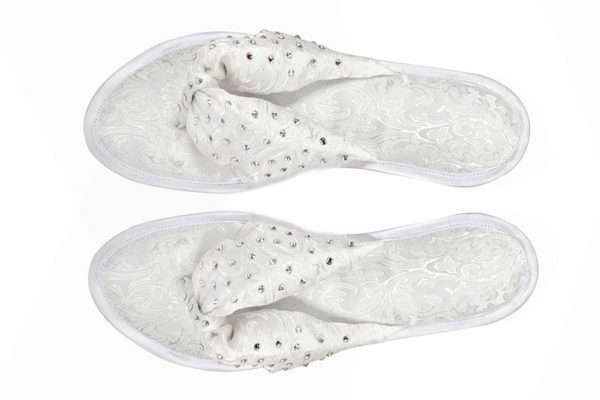 Or they can complement your wedding lingerie. They are beautifully hand-crafted using the most luxurious satin and accessorised with genuine Swarovski crystals. 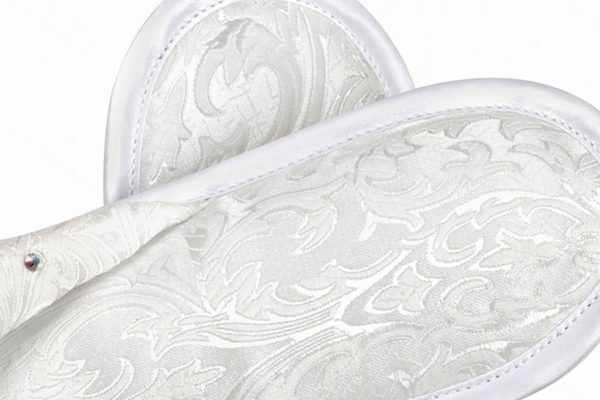 They also boast extra padded insoles, as comfort and style are never compromised.